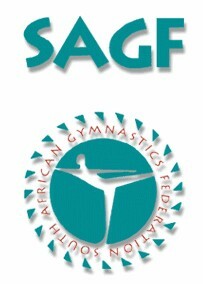 The SAGF will be hosting workshops in Western Cape, Kwa-Zulu Natal and Gauteng for gymnasts with disabilities. These workshops will be facilitated by members of the British Gymnastics disability sector. Three facilitators and two gymnasts will be part of the delegation. The objectives of the workshops are to improve the physical wellbeing of children who have disabilities and to provide the necessary skills for coaches and teachers who work with children who have a disability. Gymnastics is able to provide all the required physical literacy skills children need to reach their full potential. The workshops will cover both recreational and competitive opportunities. The workshops will cover the introduction of the SAGF Schools Gymnastics competitive program, the coaching approach to gymnasts with disabilities and introduction to the Special Olympics gymnastics programs. The Schools competitive program currently caters for children who are Deaf and Intellectually Challenged. This program will form part of the National Schools Championships to be held in December. Gymnasts selected to represent their Province will receive Provincial Schools’ colours. For recreational purposes, children with various disabilities are able to use the program. The Special Olympics program offers gymnastics programs used internationally – both competitively and recreationally – and opportunities to attend National and International events for children who are Intellectually Challenged. 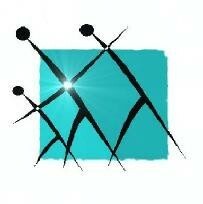 For more info about proframs offered by Special Olympics – go to www.specialolympics.org. Teachers and coaches are invited to attend, and to bring along up to 2 gymnasts per teacher/coach. Attendance at the workshops is free. Below is the GAU workshop schedule. Friday20th February 10h30 – 14h00 SAGF Schools program – artistic gymnastics Teachers/coaches, facilitators.Each coach may bring along a max. of 2 gymnasts. For manual and refreshments preparation, coaches and teachers are requested to RSVP by the due date. Please note that these workshops are of a practical nature, and appropriate clothing should be worn.